You can’t deny the wonder and beauty that fills the Great Smoky Mountains. Here, you’re not only surrounded by rolling mountains but also by native wildlife, a rich history, soothing rivers, and more diversity in plant and animal life than you thought imaginable! 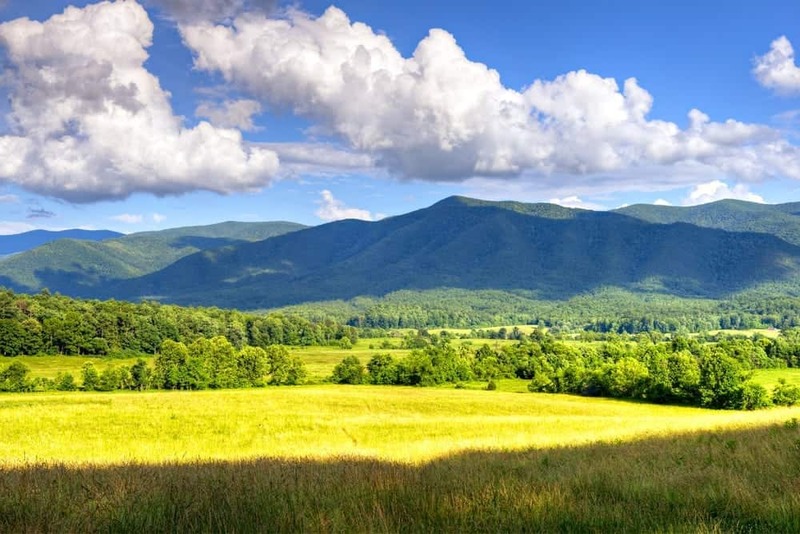 If you haven’t already considered planning a trip here, you will after you see these amazing pictures of the Smoky Mountains. 1. Each morning starts out with a breath of fresh air! 2. Your drive anywhere is gorgeous! 3. You can spend all day on the trails, and never see everything there is to see! 4. You’ll have a front-row view of the Smoky Mountain fall foliage. 6. Just wait until you see the Smokies covered in snow! 7. But no matter the season the views are always stunning! 8. You’ll have plenty of furry neighbors to watch for. 9. You will get to hike to the highest point in the Smoky Mountains – Clingmans Dome. 10. The Smokies are full of rich, Appalachian history. 11. You can explore rustic cabins. 14. There’s always a new road to travel down. 15. But the best part is that your days will always end with an inspirational backdrop.